Applications for the 2018/2019 session is now open. Application is now to be filed online. To apply as a student, you have to get a scratch card, and then apply through the eServices portal to begin your application. 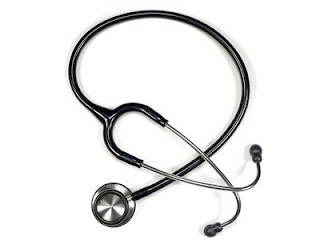 How to Obtain Osun State School of Nursing Form. Interested candidates are to obtain the form/scratch cards at the Osun State School of Nursing, Asubiaro Osogbo or Osun State Ministry of Health at Abere, Osogbo which is located at the state secretariat. Instruction: Pay at the bank, take the teller to the Osun State Ministry of Health at Abere, Osogbo, with your teller as evidence to collect scratch card for registration. With a scratch card in hand, you can apply through the link below or ask for assistance at the Ministry of Health, Abere, Osogbo. The form costs Seven Thousand, Fifty Naira (N7,050.00) Only. There will be an Oral and Written Examination for all qualified candidates. The entrance examination into the Osun State School of Nursing, Asubiaro Osogbo for 2018/2019 academic session holds On Saturday 23rd June, 2018 at Ataoja HIgh School, Osogbo by 8:00am prompt. All prospective candidates to be at the examination Hall before 8:00am for checking in. CLOSING DATE: Sales of form closes on Thursday 21st June, 2018.